SGX Day Traders: 2014 Apr 07 SGX Day Traders Spotted YZJ potential Inverse Head And Shoulders pattern. 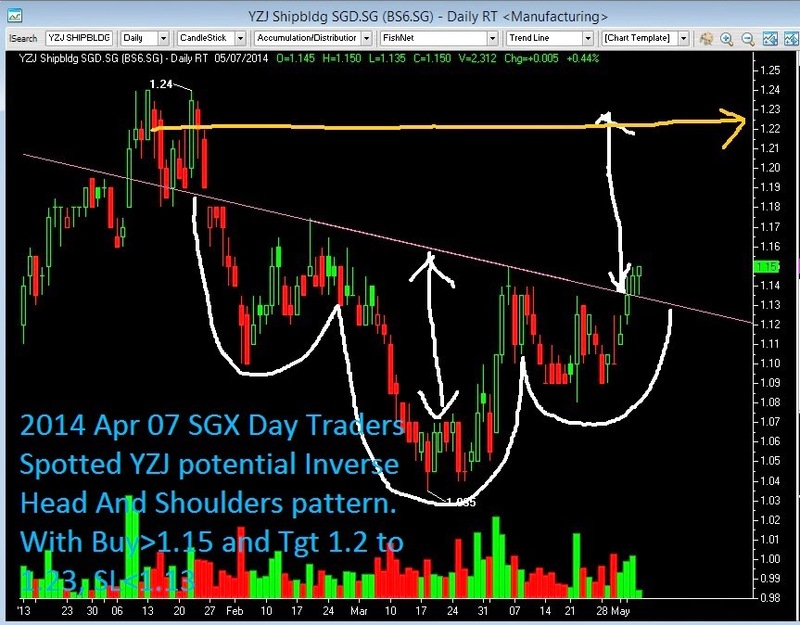 2014 Apr 07 SGX Day Traders Spotted YZJ potential Inverse Head And Shoulders pattern. With Buy>1.15 and Tgt 1.2 to 1.23, SL<1.13. PS: We are group of Day Traders, and usually will try to squared all positions the same day or during contra period. See definition of Inverse Head And Shoulders pattern here.